Whether you own a Samsung Gear Live, Moto 360 or LG G Watch, we’re pretty sure that you will be interested in reading this article. A lot of things have changed for the Android Wear devices and today we’re going to talk about them and how to get the most of your wearable device. Wrist watches have not been very popular in the last few years, because we are used to checking the time on our smartphones. However, if you bought an Android Wear device, chances are you will want to know what time is it. This is why most of the Android Wear watches will come with an “always on screen” feature. This way, you will be able to see the time without having to tap on the device or shake it. This feature is now available and the time will stay visible even after you drop your arm. However, the screen will only be full color when you are actively using the watch (to save the battery life). Android Wear support watches that have Wi-Fi built in. As long as the watch is connected to the same Wi-Fi network as your mobile phone and the mobile device has a data connection (no matter if it is near you or not), you will be able to get notifications, send messages and use the application from your Android Wear device. At the same time, you can ask your Android Wear device for the location of your smartphone. Using a application and checking the time is much easier than before. If your hands are full, don’t worry, because you can flick your wrist in order to scroll through the stream. Before you can use your Android Wear device, you will need to pair it with your smartphone. To do this you will have to open the Google Play Store and install the Android Wear application. Make sure that your device runs on Android 4.3 or above or this will not work. In order to turn on the watch, connect it to the charging dock, once you’ve done this, you will need to select the desired language. After that, the watch will tell you to install Android Wear on your smartphone (which you’ve already done if you followed this article). Go to your smartphone and switch Bluetooth on and open the Android Wear application. Follow the instructions in order to pair your watch with your smartphone. In order to show information on your watch’s screen, the Android Wear application uses a selection of cards. You can swipe up and down to see these “cards” and by swiping to the left you will get more details about the specific card. To dismiss the card, you will just need to swipe to the right and the card will not reaper until a new notification comes to it. 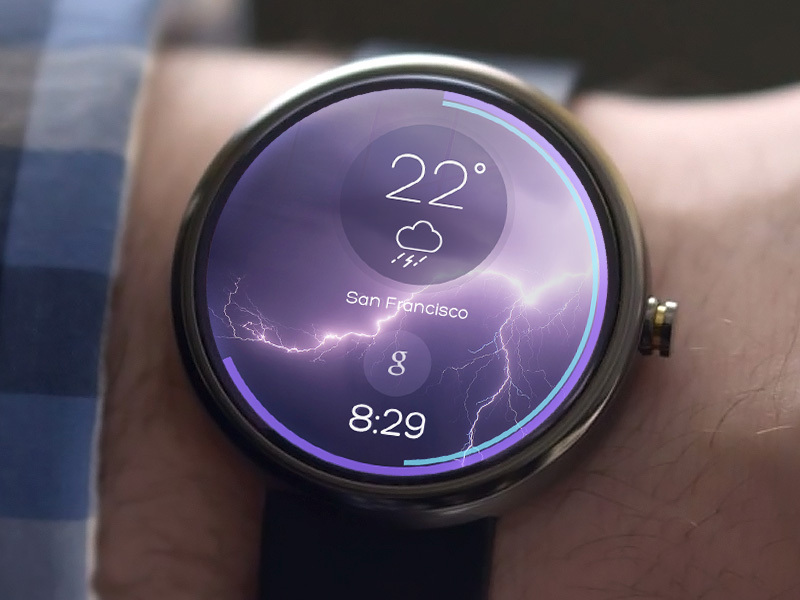 There are applications which will allow you to respond using your watch via your voice. For example, you will be able to reply to a SMS without touching your smartphone, by using just your voice. There is also a weather application, which is quite useful and we’re pretty sure that you will use it everyday. However, it only displays the weather at your current location but by swiping to the left it will reveal forecast for the next few days. 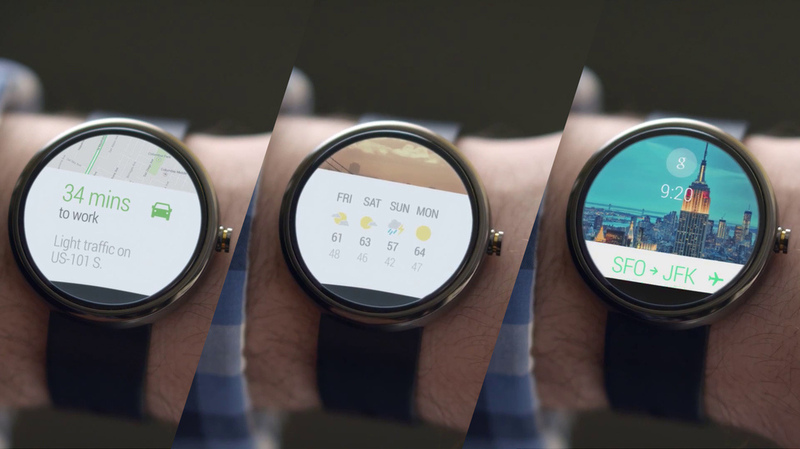 The latest Android Wear update allows you to use custom watch faces on your watch. You will find a lot of custom faces on the Google Play Store, just search for the one you like and install it on your device. Have you dismissed a notification by mistake? Don’t worry, because you can get it back easily. To do this, just swipe up from the bottom of the screen and you will notice an undo icon. Tap on it and the previous dismissed notification will reappear. We’re pretty sure that this will be the first thing that you will do once you pair your Android Wear with your smartphone. To do this, tap and press on it on the main watch screen and chose a new Clock face. You can extend the battery life of your Android Wear device. By default, the screen will not turn off entirely as it will enter a low-power mode which uses only black and white colors to display the clock interface. However, you can set it to turn off the screen entirely, after a few seconds, by going to Settings and setting off the “Always on screen” option. In order to “wake up” your device, just tap on the screen or tilt your wrist.